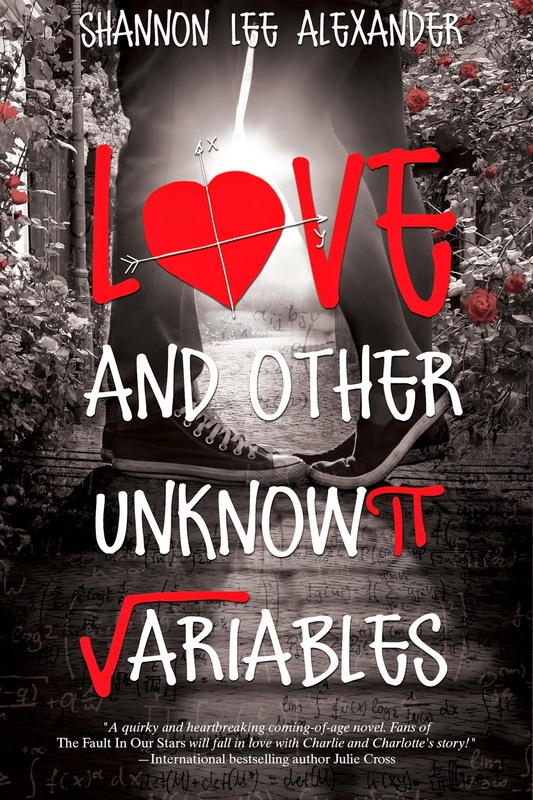 Love and Other Unknown Variables by Shannon Lee Alexander will release on October 7, 2014. Charlie Hanson has a clear vision of his future. A senior at Brighton School of Mathematics and Science, he knows he’ll graduate, go to MIT, and inevitably discover the solutions to the universe’s greatest unanswerable problems. He’s that smart. But Charlie’s future blurs the moment he reaches out to touch the tattoo on a beautiful girl’s neck. The future has never seemed very kind to Charlotte Finch, so she’s counting on the present. She’s not impressed by the strange boy pawing at her until she learns he’s a student at Brighton, where her sister has just taken a job as the English teacher. With her encouragement, Charlie orchestrates the most effective prank campaign in Brighton history. And in doing so, he puts his own future in jeopardy. By the time he learns Charlotte is ill—and that the pranks were a way to distract Ms. Finch from Charlotte’s illness—Charlotte’s gravitational pull on Charlie is too great to overcome. Soon he must choose between the familiar formulas he’s always relied on, or the girl he’s falling for (at far more than 32 feet per second). This is going to be a short review because I don’t want to spoil you all. First so far, thanks to the author for the ARC for an honest review. I want to start with Charlie, one of the main characters; he’s a really smart boy who studies in a really hard high school for genius people. He’s like obsess with math. I like him, at the beginning Charlie was kind of a jerk, but later on you get to know him better, he was just a little (WAY MORE THAN LITTLE) lost about girls. What I like the most about Charlie is the way numbers and theories and all that stuff is always involved in everything he thinks or says. He’s the kind of boy you want to punch and kiss and punch again and then hug him. Now let’s talk a little about Charlotte, she’s a mysterious girl. What I like about her is that she seems son strong at the beginnings but them she let everything go so fast. I mean girl, the mystery was hot, keep being like that and not start crying when you got the chance. The way she and Charlie start spending time together is really funny, she just can´t find the way out of his damn house, seriously, she becomes the best friend of Charlie’s sister and once she’s inside the house is like she lived there. I told you friends, I’m not giving you any spoilers. This book is a little slow at first, but is such a funny thing to read, I love when Charlie uses mathematic stuff to refer to everything. The story line is good, I wish it was a little faster because sometimes I was like ok, I want to see more Charlotte and less Gretta and James (Charlie’s friends); but once things started heating up (I don’t if this is a right thing to say about this book but I hope you get what I’m trying to say here xD) It was really cool. If love nerds, geeks, good characters, math (naah, you don’t to love math, come on xD) This is the book for you, geerks can be hot, funny, sweet and Charlie teach us that. “Scientifically, I know beginnings don't exist. The world is made of energy, which is neither created nor destroyed. Everything she is was here before me. Everything she was will remain. Her existence touches both my past and my future at one point- infinity. Lifelines aren't lines at all. They are more like circles. Well, this is a little longer, and I still wish I cool say more but you need to read it for yourself cause it really worth’s the try. I’ll —with NO regrets— give 4.5 starts to Love and Others Unknown Variables. Books and Math could be perfect together. 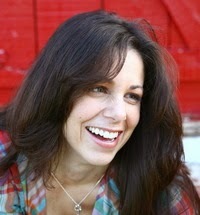 Shannon Lee Alexander is a wife and mother (of two kids and one yellow terrier named Harriet Potter). She is passionate about coffee, books, and cancer research. Math makes her break out in a sweat. Love and Other Unknown Variables is her debut novel. She currently lives in Indianapolis with her family. We are Kat and Mel. Kat is 20 and lives in CA. 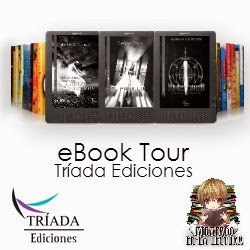 United States, Melisa is 22 and lives in Santiago, Chile, we met thanks to our passion for books and became best friends and then we decided we MOST share our thoughs about books we read thats how Living Between Books was born then. 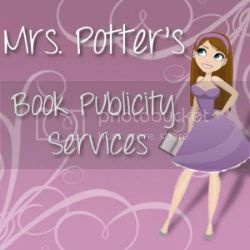 we are a blog who loves books we literally live between books and IF you're searching for an honest review this is the one you're looking for. Blog contents © Living Between Books 2010. Blogger Theme by Nymphont.